I love my new Nima Sensor. I started taking Nima to restaurants, and I’m posting all my results in blog posts. And, I post all my results on the Nima Sensor app to help other consumers make the best decisions. You can check out Nima Sensor tested items at Jersey Mikes and Chick-fil-A. And, you can check out the gluten-free guides category for more Nima Sensor test results. Are you looking for specific restaurants or food items? Let me know. Below you will find the most updated list of Nima Sensor tested Starbucks gluten-free food. And, you can read the Starbucks gluten-free list to get the full menu of gluten-free drinks and food. Are you looking for more Starbucks gluten-free food? You can email me, and I will post your requests. Are you looking for more Starbucks gluten-free drinks? You can email me, and I will post your requests. 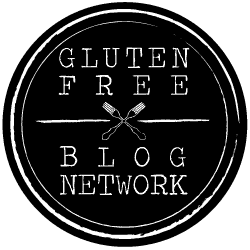 Do you have a favorite gluten-free Starbucks drink or food item that you want me to Nima Sensor? If so, leave me a comment, and I will repost.